Very good location for a holiday with children. Good appartment, clean and every day new towels. Excellent swimming pool and mini disco was favorite of my children. Great place for families, and near the beach, restaurants and pubs. There wasn't much to like as the apartments were closing the day after we arrived, with an 8 year old child in school holidays!! !...they are supposed to be a family apartments/complex. There was no entertainment or kids club available, or any animation team all day & night. This was a family friendly resort very close to the beach. It was a wonderful getaway! The food was excellent and the staff super nice. Everything. The staff were so lovely and apartment was clean. Our boys loved the pool. Can not fault the place. Would highly reccommend. This was our second visit to Jutlandia. 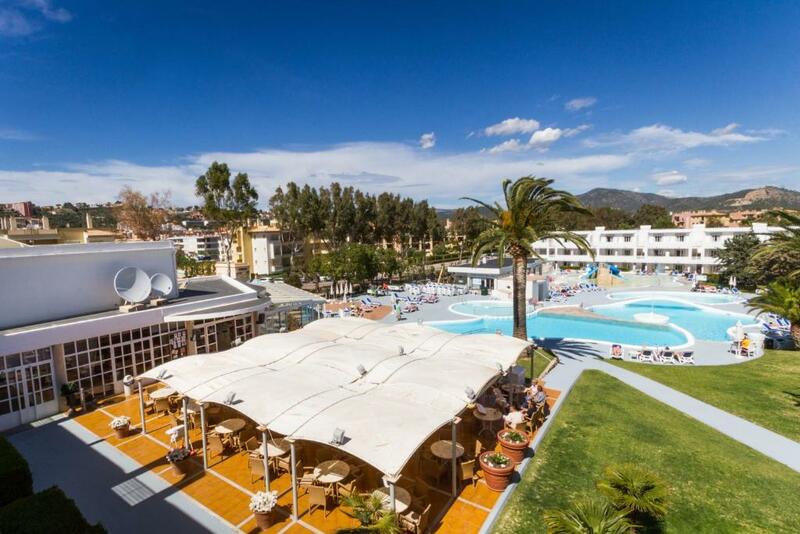 Santa Ponsa is a small quiet resort (In October anyway). the main beach is clean and pleasant but there are small coves nearby if you prefer somewhere quiet. Jutlandia is a very friendly place to stay, not too large and the food is excellent, great variety. We were a couple but is a great place for your children as there is plenty of entertainment provided most of the day. Easy access to varied pools. Very child friendly. Excellent and friendly staff especially lifeguard and animators. Great location with a few 100 yards walk to the beach. Lock in a great price for Jutlandia Family Resort – rated 8.5 by recent guests! Jutlandia Family Resort This rating is a reflection of how the property compares to the industry standard when it comes to price, facilities and services available. It's based on a self-evaluation by the property. Use this rating to help choose your stay! 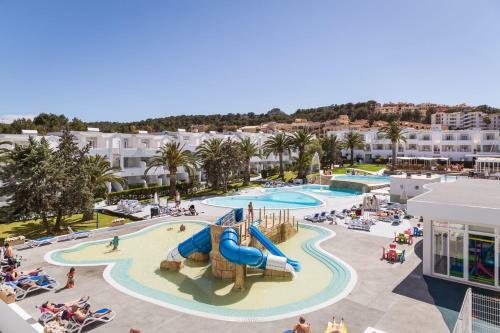 Jutlandia Family Resort is located in Santa Ponsa, just 1,500 feet from Santa Ponsa Beach. It offers 3 outdoor pools and air-conditioned apartments with a private balcony and pool views. 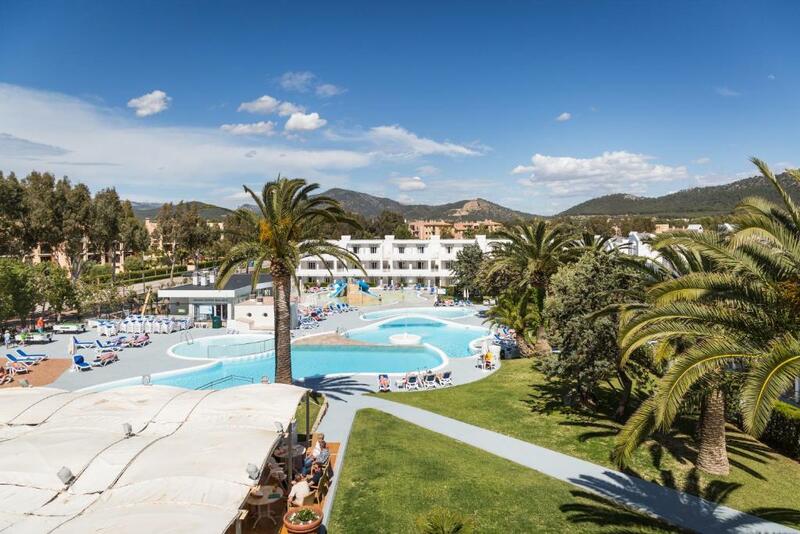 Apartments at Jutlandia Family Resort feature tiled floors and Mediterranean-style décor. Each one comes with a private bathroom and a kitchenette with a microwave and coffee-maker. Free WiFi is available in the lobby. Jutlandia Family Resort offers a varied entertainment program for both adults and children. There is also a children’s playground, as well as a pool table and table tennis table. The complex’s café serves international food. 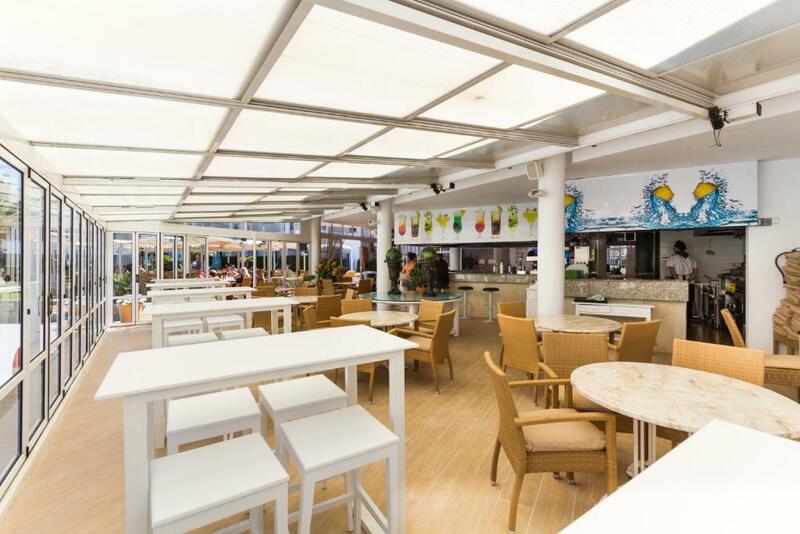 There is a poolside bar, as well as a bar with an outdoor terrace. There are also vending machines for snacks and drinks. Santa Ponsa Golf Club is just 2,150 feet from the apartments. You can drive to central Palma and Palma Airport in 20 minutes. When would you like to stay at Jutlandia Family Resort? This air-conditioned apartment features a private balcony with pool views. There is a seating area and a kitchenette with a microwave and coffee-maker. This apartment has a balcony, microwave and tile/marble floor. House Rules Jutlandia Family Resort takes special requests – add in the next step! Jutlandia Family Resort accepts these cards and reserves the right to temporarily hold an amount prior to arrival. Please note that bed linen is changed once a week. Towels are changed and apartments are cleaned 4 days a week. Please note that student groups and stag/hen parties are not allowed. Other kinds of groups on request. A deposit on arrival may be required for groups. A few bits a little run down - peeling blinds, rusting washing racks. Everything! !...the place was empty, bookings shouldn't be accepted if the place is empty, there were no other children for 8 year old son to play with, the one animation team member sat at the bar and did nothing, when I asked if he could play a game of football, he replied "he didn't have a football""...just wanted to get out of there my son was so bored with absolutely nothing to entertain him. The manager Damien is a very rude man also. The pools are not heated, so if you aren't tough with the cold, be aware! The nightly entertainment was very loud and went on later than we stayed up, so that was a bit of a bummer. The kids pool area was just great got our 4 and 5 years old boys. The entertainment during the week was great and nice. Location was great. Beach was near restaurants and cafes were near. There was a strong smell of mold in the kitchen area and much mold in the bathroom. They said that "the apartments are swept, scrubbed and perfumed before the client arrival". Lol. That only show that they do not understand the health issues provoked by mold. The hotel have to be closed for public and do serious repair work. We left the property as soon as we found a flight back home. We also found lingerie of previous guests in the closet, hair on the floor. The worst is the reaction of the managers that show lack of interest in the health aspect of their guests. They even respond back, instead of trying to repair the problems of their hotel. Jutlandia is a great place if you're going on holiday with children. The apartments are quite basic but well kept (the price is very fair). 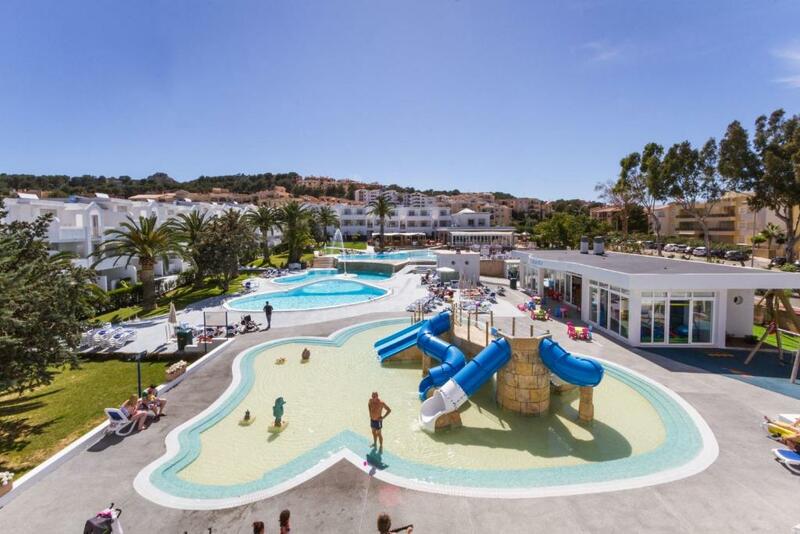 There are several activities and shows for children and they will enjoy the swimming pools. We're personally not really into resorts and had already spent the bulk of our holiday elsewhere but our 4 year old daughter loved the place. The pool-area looks a little bit bigger in the pictures, witch was a small disappointment at arrival. After a day I didn't mind it at all, because it was much easier to look after the children because of it's size and we had a great time. One concider was that the show's in the evening started a little bit late for small children, but they were all very good!